Genetic sciences are creating technologies that radically influence our understanding of life, death and what it is to be human. The current policy of letting the market set the pace according to popular demand sounds democratic, but one person's decision to implement an option all too often impinges on someone else's freedom. Without agreed boundaries there will be conflict. Just as a confusion o… f language caused the people to scatter from Babel, confusions of personal interest may cause a breakdown in society leading to genetic under-classes and discrimination. 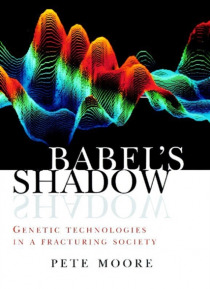 Genetic technologies could, in our time, become the equivalent of the biblical Tower of Babel, representing great human technological achievement that shows division and enmity. In a thorough analysis of the ethical questions raised by the new technologies, Pete Moore sheds valuable light on this complex subject.